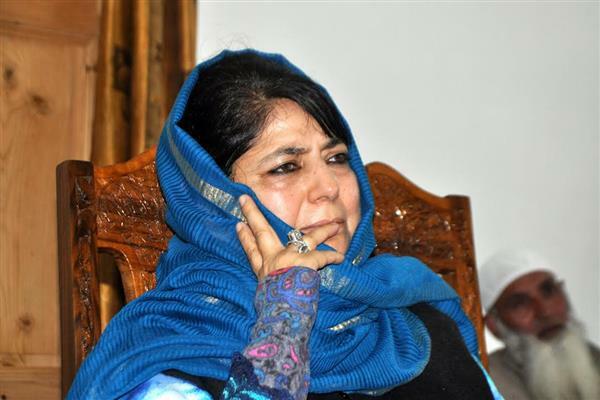 Srinagar, Oct 23 (KNS): PDP President and former Chief Minister, Mehbooba Mufti today asserted that her Party has a critical role in the present situation in the State and asked her workers to reach out to people to get them out of present critical times. Chairing a meeting of office bearers of Baramulla Assembly constituency here today, Mehbooba Mufti asked her Party workers to reach out to people and help them in the redressal of their grievances. She regretted that virtually there seems to be an administrative onslaught on people with no accountability being fixed anywhere in the official system. “From security situation to deliverance of basic services, people are suffering and administrative machinery seems to be immune to their cries”, she said and added that this situation further leads to alienation among masses which is not good for the State and society. It is now the responsibility of PDP cadre to reach out to them and help them come out of this situation, she added. The PDP President said giving relief to people and getting them out of the uncertain atmosphere has been the core philosophy of her Party and this unwavering stand did not get influenced with the Party being in power in the past.